Just like I said with my milk makin’ cookies recipe, you don’t have to be the mother of a newborn to enjoy these. 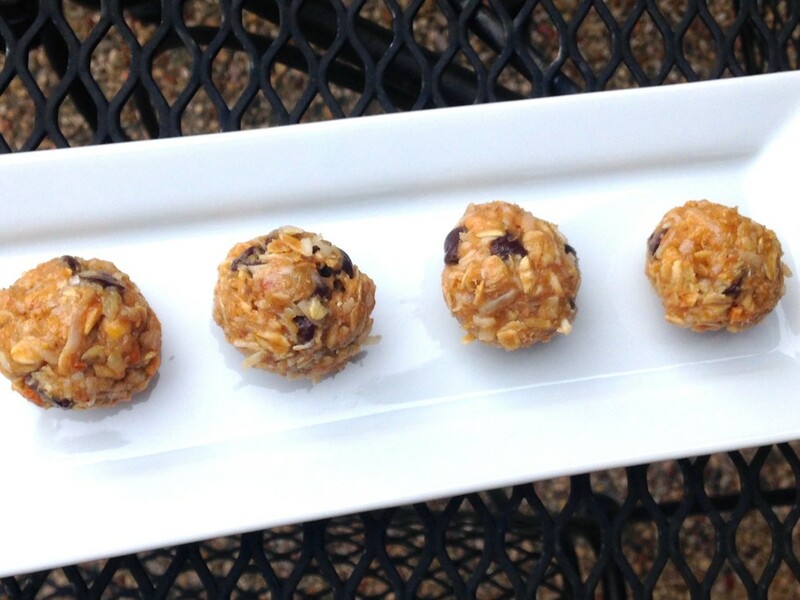 Those lactation cookies and these no bake snack bites just have wholesome ingredients which promote lactation. Trust me, these won’t turn you into a milk producing cow! lol. There’s actually a special word for these kinds of foods and it’s called galactagogues. “Galacta-what?” Galactagogues are substances that naturally promote breast milk production. They generally include herbs or foods that increase a mother’s supply. While you can take them as supplements or teas, you can also consume them as delicious cookies or snack bites! So, what foods are considered to be galactagogues? The foods listed above with an asterisk * are included in these yummy snack bites. I actually have an almost identical snack bite recipe from a few years back, but they don’t have brewer’s yeast and there’s a little less honey. I like this recipe better. 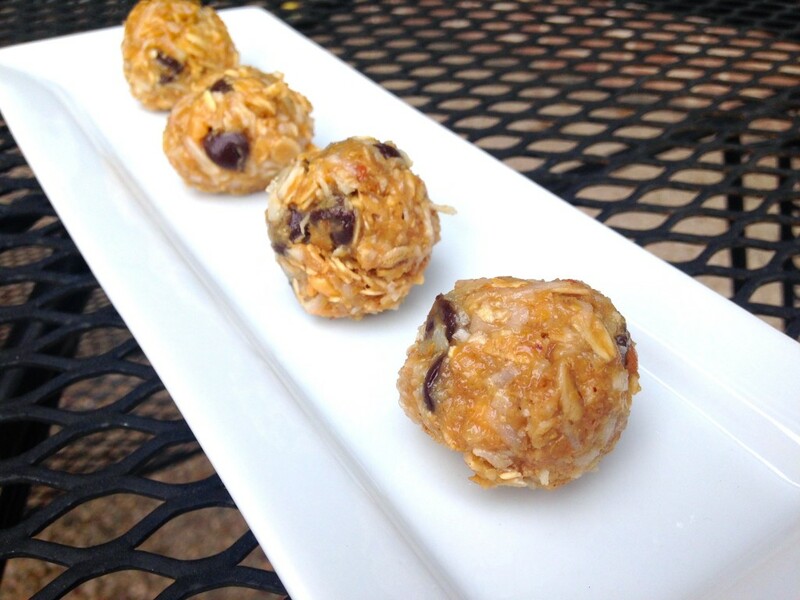 The extra bit of honey make the bites easy to roll into balls, and add a natural sweetness without refined sugar. Mix all ingredients together and roll into 1 inch balls. 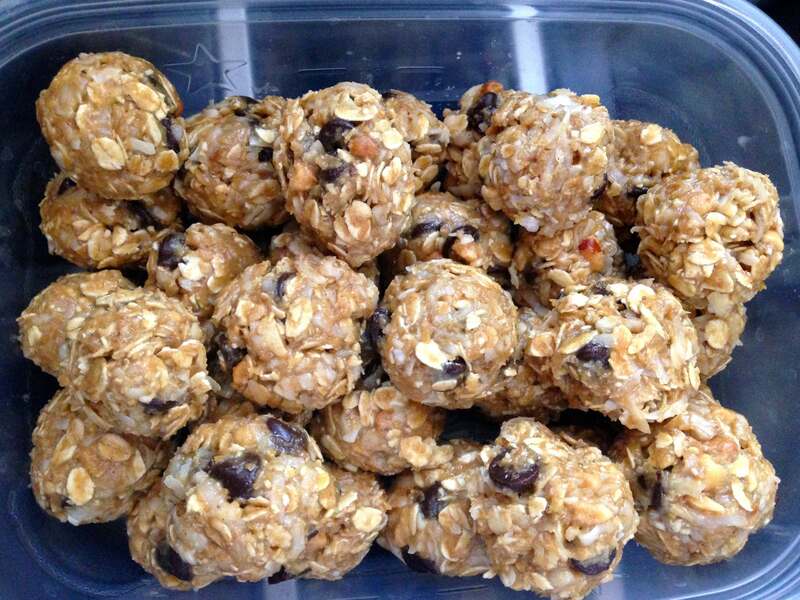 2 Responses to "No Bake Lactation Bites"
Hello, how many cookies does this make, and how much do you usually eat per day? I have to make a gluten / dairy free version and need to plan out how long one batch will last. Thanks! I’d say it makes about 20-30 1″ balls depending on how large you make them. Serving size is probably 2 bites. Hope this helps.